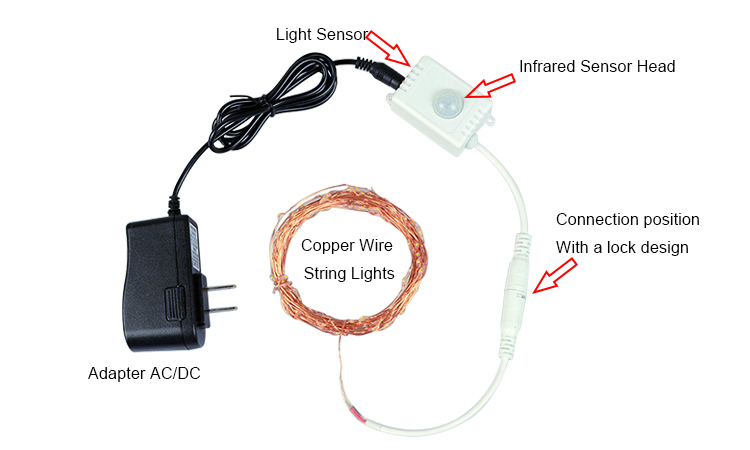 The PIR Sensor DC Powered LED String Lights are suitable for Garden/Home/Party/Bedroom/Xmas/Outdoor Decorations. The led string lights when people comes, auto ON/OFF. Intelligent PIR Sensor + Light Control, double sensor for easy use. 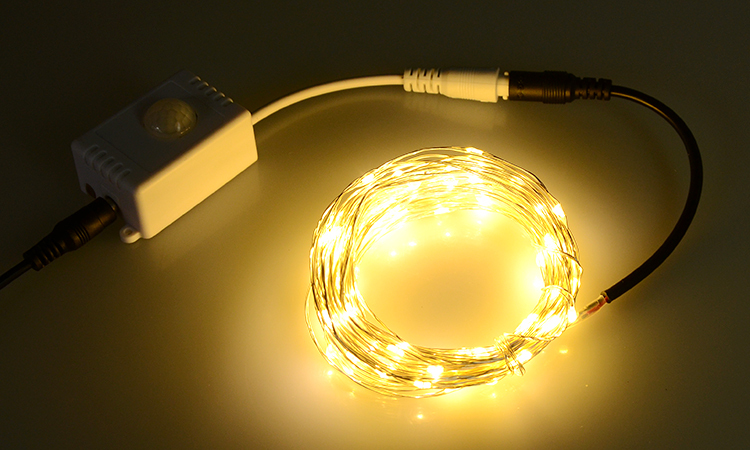 More types led string lights, pls click here.